After having purchased their USB 500 Rack, I was immediately struck by how little I knew of Aphex Audio, who have been around for quite some time and boast a significant product line. So I made my way over to their offices in Burbank, and had a chat with their Product Specialist and all-around nice guy, Jace Nuzback. Hi Jace. Can you tell me a bit about your work and job title at Aphex? My title is “Product Specialist”, but I end up wearing way more hats than that. I do everything from tech support to most of our trade show setups, as well as help with product design. Aphex is a small company, but we’ve got a great team that works very well together. Is that kind of multi-tasking position what you imagined yourself doing when you applied for the job? Yes, to a point. I had done a lot of trade shows whilst working at TASCAM, and I think my past experience is what got me this job. Tell us about this past experience. What does your audio background look like? I’ve been in pro audio since 1992, after graduating from the Conservatory For Recording Arts and Sciences in Tempe, Arizona. I’ve been a studio owner, live sound engineer, and worked in post-production in the past, as well as being a Product Manager for M Audio and Line 6 and a Product Specialist for TASCAM. All of that past experience makes it easier to communicate with team members, and because I know how people will use the product in different applications, talking with end users comes naturally. At what point did you start working at Aphex, and what are some products that you’ve developed with them since then? I’ve been here four years now, and have been a part of making the Project Channel, the USB 500 Rack, and the D-500 Duo. I’ve had input on everything we’ve made lately, but those are the ones I chipped in on the most. 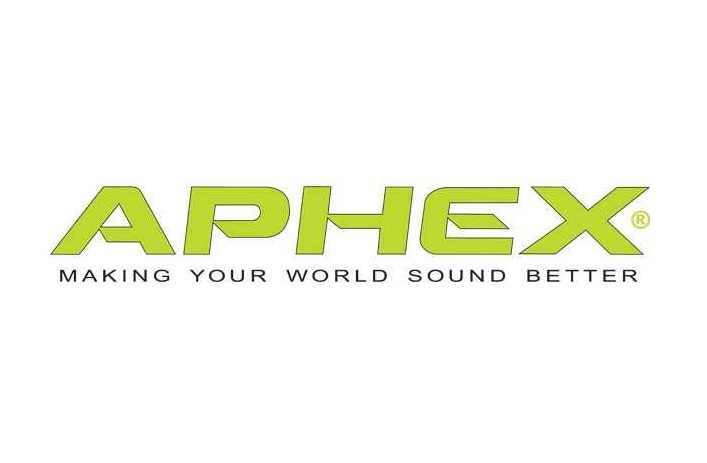 In a world where many gear manufacturers have been forced to either scale back their product quality to compete in the age of bedroom producing, or simply resign, how has Aphex been able to remain in business? When the economy goes the way it has over the last few years, a lot of our success comes down to making unique products. When we first came up with the concept of our IN2 USB audio interface, we had to think about how we could sell an interface like that for more than what other companies were making theirs for. We really had to work to get the message out about all the sonic advantages, value and workflow benefits of our integrated products like the IN2. As far as gear goes, there are more recognizable brands out there that consumers might feel tempted to turn to. Does Aphex have any concern about their competition? A customer who knows about gear will understand why they’re paying a bit more for one product over another, but other customers will need some education or a demonstration. You either make your product easier to use than the competition, or give it something that sets it apart. The IN2 is a good example, with its integration of Class A pre-amps, optical compression and high-output headphone amplification.. You also don’t have to go through a ton of menus or on-screen controls on our products to do basic operations. Given that you guys aren’t as famous as certain other brands, do you factor that into how you promote your products? In the case of our USB 500 Rack, that was a unique product that no-one else was making, so it would have gotten attention regardless. But we do advertise in important print and online outlets. We also have a growing roster of professionals who help us get the word out, and we’re regulars at industry events and trade shows also. Do you know of any recent projects that Aphex gear has been used on? The Aural Exciter and Compellor tend to be secret weapons on a lot of people’s mixes, so they don’t like to tell other people about it. We get a lot of that, especially with our processing tools. Our gear also gets used on a lot of award shows. We have remote controlled pre- amps that get used every year on the Grammys and Country Music Awards that are integral to the shows, but are used behind the scenes in the broadcast trucks. Our gear also gets used a ton on stage shows as well, like Cirque Du Soleil. I read about the Microphone X on Aphex’s website, and it looked very interesting. Can you tell us a bit about that product? With USB mics, you can’t insert any processing before the analog signal is converted to a digital one, such as compression. As a result, you might overload the input of your soundcard during the recording process, and you’re not taking advantage of the full signal-to-noise ratio of the converters either. With the Microphone X, you can get a good sound, control your dynamics and add in your processing to get a professional sound right away. And you can be mobile with it. You can even use it for things like Skype, which is a much better alternative than your laptop mic. No other USB microphone on the market offers this kind of analog processing. In addition to great sounding 24-bit/96 KHz operation, an optical compressor, the Aural Exciter and Big Bottom processors, the Microphone X also comes with a powerful headphone amplifier. Aphex’s flagship product has been the Aural Exciter, which has been given a modern revamp in recent years, as well as a 500 series port. How did the Exciter/Big Bottom concept come about? The Exciter was the first thing that Aphex made, back in 1975. It’s been through quite a few technology revamps over the decades, so when we ventured into making new 500 modules, people expected us to do one. The EX:BB 500 is the only version to have an independent on-off switch for the Aural Exciter and Big Bottom, and since 500 modules have exploded into popularity recently, it’s become popular with quite a lot of people. The Aural Exciter processes your input in a sidechain. That means that your audio signal goes directly to the output, but we take a tap from the input and feed it to the processor. The first thing it hits is a high-pass filter, which goes from 600 Hz to 5 kHz, and only the frequencies above the cut-off get processed. It then adds even-order harmonics to the signal above the high-pass filter. You can decide how much of the harmonic content you want to add, as well as how much you want to blend with the original signal. The Big Bottom is similar, but it’s an optical compressor that uses a low-pass filter to select what gets processed. You use the “Drive” control to decide how much to compress. Then you can blend it in to taste. There are lots of uses for this technology. For example, you can put this technology in a DJ rig. You can also insert it on individual tracks in your mix, or on a buss. Some people ask, “Can you overdo it if you use the Aural Exciter and Big Bottom on every channel?“, to which I say “Do you see an EQ on every channel of a mixer? Is that ever too much? “. Of course, if you use it recklessly, it’s going to be too much, so the point is to use it sparingly. This technology actually lends itself to so many things outside of mixing. I know guys who buy three of them and use them on a surround system at home for watching movies. Some people use it to enhance the sound of their iTunes library. A guy with a hearing aid called in a few days ago after buying one. His wife always complains that he has to turn his TV up too loud, but now the Aural Exciter helps him with speech intelligibility by putting s a harder edge on the sound of consonants so that the words sound clearer. So he made it a part of his home audio system and can now keep the volume lower and still understand the dialog. Our Exciter/Big bottom technology gets put in installations in many places, like airports and sports arenas, and will generally help anywhere you need to be heard by a large amount of people in a crowded area. How did the software version of the Exciter come about? Did Waves approach you guys about that? 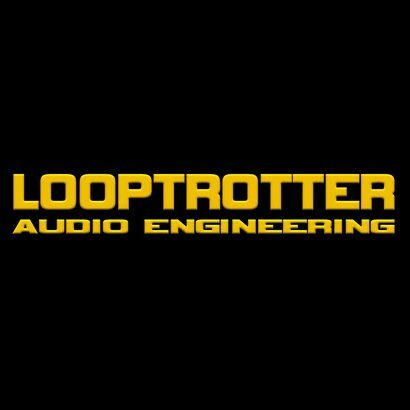 We engaged in talks with them, and decided to make the plugin that modeled a version of our very first Aural Exciter from the 70’s, which was a tube circuit. It’s something you can’t get in hardware, because only a handful of them existed to begin with; even the originals were rental only and couldn’t be bought. By the way, Avid just updated the Exciter/Big Bottom AAX bundle that they distribute for us, updated the graphics to match our our new hardware. Does Aphex have any ambitions to forage into the plugin world on their own? Only time will tell. Right now, what we’re doing with Waves and Avid is working very well for everyone. The USB 500 Rack is quite a unique products. Why did you guys decide to get into that? No-one else was doing it, and it was definitely a hole waiting to be filled. When you look at the market from a manufacturing standpoint, there aren’t a lot of companies out there doing USB audio interfaces and 500 Series products. When recording and mixing with a DAW and standard 500 frames, other things are required. First you need an audio interface with the right amounts of ins and outs. You also need analog cables to connect everything. You also have to know how to route the audio properly, and there’s so much that can go wrong that it’s a pain. Our USB 500 rack not only makes it much easier and less expensive but it will also bring more people in to the 500 series market. So it’s great for the whole 500 series industry. Aphex has actually been in the 500 game from the very beginning with the original CX-1, now reissued as the CX 500 and the original EQF-2, also reissued as the EFQ-500. In order to put so many components into one product, does there have to be a compromise when making the USB 500 Rack? To be honest, it’s the opposite. Without having to connect multiple boxes with analog cables, there is far less chance of noise or grounding issues. Routing the USB 500 Rack with the DAW is no more complicated than routing with any other interface. Cool. What else do you guys have planned for the future? We can’t talk about future products, but come see us at AES in October.